Throughout the ancient Egyptian history, Aset has been connected with many deities as Her family members. First off, Her parents are the sun God Ra or the Earth God Geb and the Sky Goddess, Nut. In one instance Tefnut is said to be Her Mother. Her siblings are Nebet Het, Wesir, Heru Wer and Set. In most of Her mythology and cult centers, Wesir is Her Husband. She mourns him and searches for Him when he passes away. She then conceives Her son Heru-sa-Aset through Wesir’s lightning or the golden phallus. She raises Heru-sa-Aset alone in the marshes and heals him from various ailments and protects Him from danger. She aids Him in his trial for Kingship. When He wins, She places the new King on His throne. In other cult centers and time periods, Aset is the mother of Wepwawet, Sobek, or Min (with Wesir as the Father). Wepwawet, Min or Sobek can also be consorts. Sometimes they are even syncretized with Wesir (at least in Sobek and Min’s case). Sometimes Yinepu is mentioned as Her son. 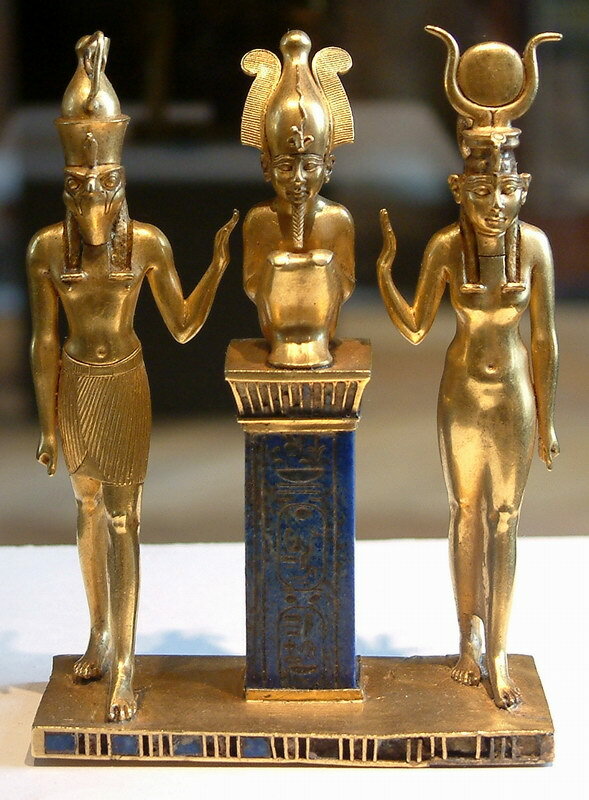 Aset can be the Mother, Daughter or Consort of Ra. Do you honor Aset alongside one of Her family members? If so, what have your experiences been?